Let’s say in a robust and growing economy that the current wage minimum is maintained. This makes available demand for any worker rise. Hence the minimum would be raised by the employer to retain a worker to avoid them from being poached. Many employers are granting such concessions without intervention. It happens all the time. People can benefit from this when an employer determines their worth and if not, the employee can vote with their feet. It is an form of empowerment. 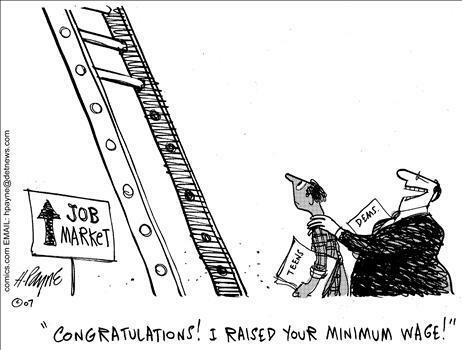 Like many Libertarians I personally would like to see the minimum wage disappear, but we know better than this. 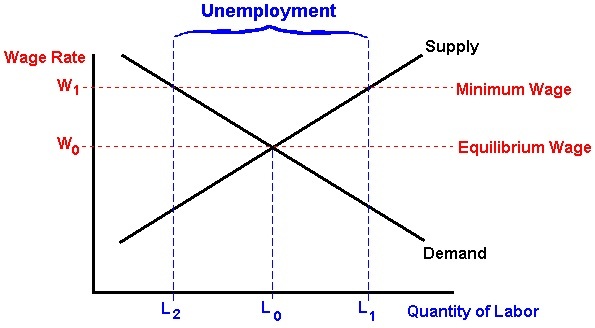 As long as politicians have the ability to manipulate the money supply – in the case of the US via the Federal Reserve – a minimum wage will be necessary.